One of the hardest things to do is to fire someone. We love to hire but hate to fire. And we do it so badly. 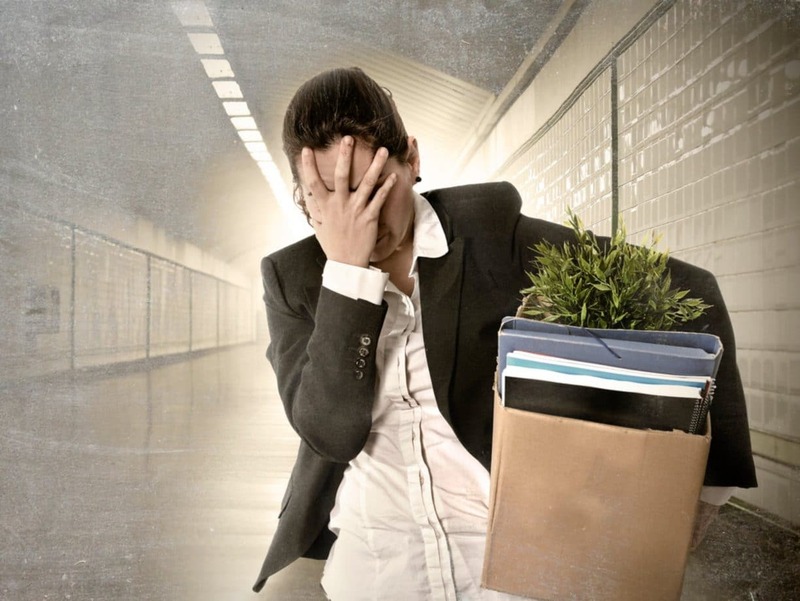 In my 16 years of management and recruiting consulting here are 5 things you should never do when you terminate an individual’s employment. 1) The termination should never be a surprise. I see this happen far too often. Years ago one of my clients called me to discuss a new staff accountant we had recruited for him. He was explaining to me some of his specific concerns that he had about her performance. He was so concerned about these things he asked me if I thought he should let her go. I asked him how she responded when he shared his concerns with her. There was dead silence. And I knew what he was going to say. “Michael,” he said, “I haven’t talked to her about my concerns. Should I?” he asked. So, he was ready to terminate the employment of a lady who had been on the job 6-8 weeks. He was ready and willing to terminate without first saying a word to her before doing so! I see this happen far too often! Coach your people early and often. Give them honest and straightforward feedback. Most people want to do good work. They want to meet your expectations. But you have to make your expectations known to them. Stop terminating people without first explaining your concerns and then giving them a chance to fix it. To do otherwise is just plain wrong. 2) If you hired the person then you should fire the person. Never delegate the termination conversation to a subordinate. Yes, it is hard. It hurts them, but most terminations were bad hires to begin with. By giving the bad news face to face you will see the tears, the frustration, or the anger and perhaps you will become more diligent to hire good people that fit the culture and can do the job. Remember, hire slow and fire quickly. The better you get at hiring, the less often you will need to fire. 3) Always fire face to face. Years ago my company instituted a drug test for our part time people. We were already testing full time but now we were testing everybody. One employee in particular proved to be elusive regarding the drug test. He wouldn’t show up for his test. Finally we got him to take the test. Back then it took weeks to get the results back. We were not surprised when we learned he failed the test. Termination was automatic but it took me several days to get face to face with him, but eventually the deed was done. Nice guy too. Good employee. I liked him. I wished him well. I wasn’t angry with him but his termination was not negotiable. Weak managers find creative ways to terminate people. People are being fired via text or email now a days. Why? Because it is easy. Disrespectful but easy. Logistics can create challenges but always terminate in person when possible and financially feasible. The only other option is on the phone. I remind you again – it must never be a surprise. 4) Never discuss your intentions to terminate with another employee. People love to gossip especially when it’s something negative. Good leaders never gossip. They work one on one to help the employee meet the required standards of performance to keep their job. If it’s not possible then the person is terminated. No one needs to know. Be classy. Always be kind, respectful, and gracious. We all struggle. They are a good person. They are just not right for this job. 5) Never terminate someone when you are angry. Too often a weak manager avoids having a difficult conversation with an employee about parts of their performance that need to improve. Fear freezes the manager. They avoid the person. The struggling employee is oblivious to the fact that the manager is upset with them. Then one day the employee in question commits a small error but this one is the straw that breaks the camel’s back. Perhaps it is visible to the boss’ boss. Perhaps it creates a significant customer issue. Nonetheless I see managers who are meek and fearful and conflict avoidant use their anger to give them courage they have been wanting. In their anger they call the employee in and while pounding their desk they terminate them. The employee is shocked. This tidal wave of anger crushed them. It all happened because the manager was too weak to do his/her job. Talking with employees about how to get better at what they do is a manager’s job. A person fired in anger is never responsible for the performance errors they knew nothing about. Lead, coach, and assist. Never withhold the truth from employees. Never fire in anger. If you see yourself in any of the 5 wrong ways to terminate we can help. We teach leaders how to identify top talent, build great teams, and strong cultures. And if on occasion you have to terminate we can teach you how to do that also. For more information visit michaelduke.com or call 844-773-2784 ext. 700.